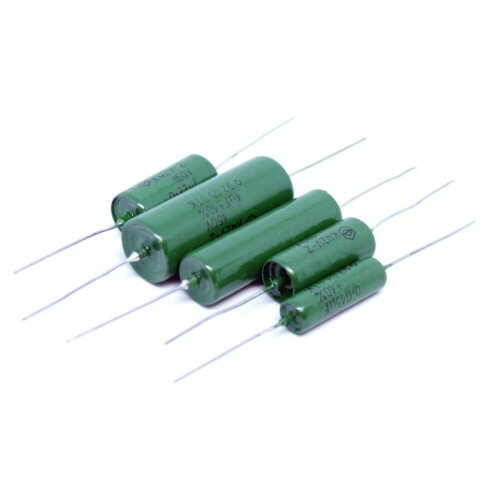 K42Y-2 (К42У-2) PIO hermetically sealed capacitors. Famous military Russian PIO (paper in oil) capacitors are known as very good choice for audio, this type beloved by many audiophiles. Great choice for building preamps/amps (point-to-point soldering, turret board soldering), amp tone stacks, EQs and so on. Metal housing, copper clad leads. Great alternative for modern capacitors. Size is without extra leads (add 2-4mm in length)!